Trusted Choice is a company that brings advertising and marketing tactics to independent insurance agencies through out the United States. This freelance position started as a 3 week client and moved forward as an open contract for over a year. 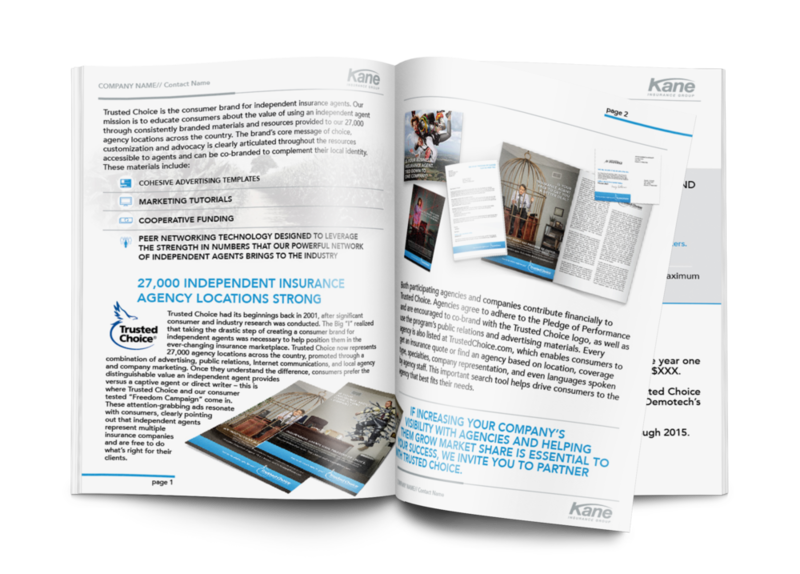 I designed/produced new marketing material geared towards insurance agencies that are potential Trusted Choice clients, as well as customizing advertising for the Trusted Choice insurance agencies market.